Lady Godiva Rides Again is a British comedy film about a small town girl who wins a local beauty pageant and finds herself unprepared for the cutthroat world of fame when she competes in a rigged Fascination Soap beauty competition. 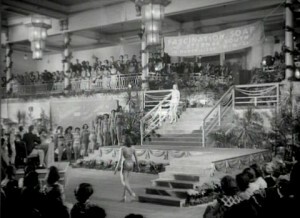 The film was inspired by the 1950 Miss Kent beauty pageant which was held at The Leas Cliff Hall where director and writer Frank Launder was one of the judges in the competition. 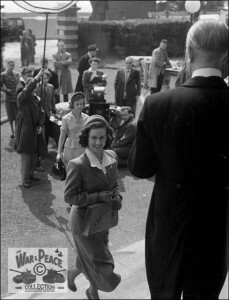 The film was directed by Frank Launder (The Lady Vanishes, The Green Man, The Great St. Trinian’s Train Robbery) who also co-wrote alongside Val Valentine (We Dive at Dawn, Rich and Strange, Blue Murder at St. Trinian’s). 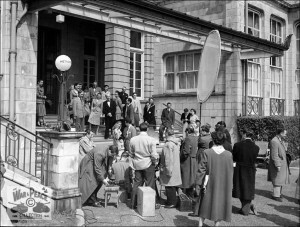 The cast includes Pauline Stroud (Skyport, Harpers West One), John McCallum (The Long Memory, Skippy, Boney), Dennis Price (Kind Hearts and Coronets, Tunes of Glory, Victim), Stanley Holloway (My Fair Lady, Brief Encounter, The Lavender Hill Mob) and Diana Dors (The Unholy Wife, I Married a Woman, A Kid for Two Farthings). 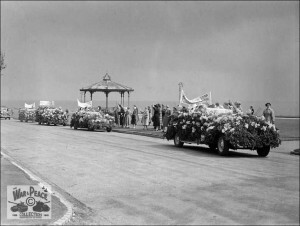 The production visited Folkestone where they filmed at The Leas Cliff Hall, which was used as the location for the beauty competition and The Metropole, which was the setting for the seaside hotel hosting the Fascination Soap Pageant. 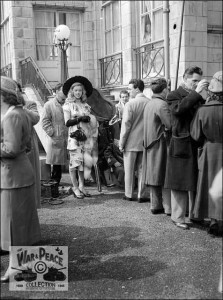 Folkestone West Train Station features in the film for the scenes where Marjorie Clark (Pauline Stroud), arrives and meets Dolores August (Diana Dors). 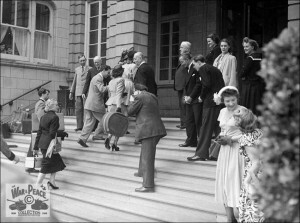 The now closed Rotunda Amusement Park was also used for the scenes where Larry (John McCallum) and Marjorie visit and go on rides. Folkestone is a town in the Shepway district of Kent and boasts a beach, quaint streets and many studios and galleries at the Creative Quarter. The Leas Cliff Hall is a theatre and entertainment venue offering splendid views across the channel. 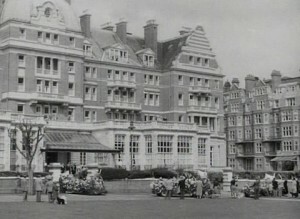 The Metropole is an old spa hotel which has been redeveloped into flats. The area has used for filming by productions such as The Tunnel (2013), Is Anybody There? (2009) and The Darling Buds of May (1991 – 1993). Lady Godiva Rides Again was released in cinemas on October 1951 and is now available to buy on DVD. 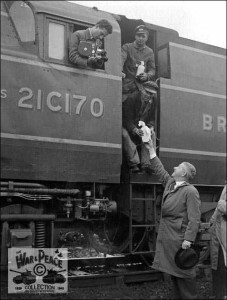 With kind thanks to Kent Photo Archive for allowing us to share their images. This entry was posted in Filmed in Kent and tagged feature film, Folkestone, Folkestone West Train Station, Lady Godiva Rides Again film locations, Rotunda Amusement Park, The Leas Cliff Hall, The Metropole. Bookmark the permalink.